Pre-heat the oven to 200C/400F degrees. Blend the butter, eggs, erythritol, vanilla essence and coconut milk. 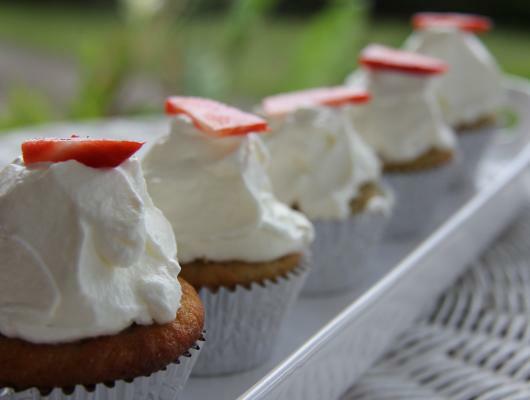 Pour the batter into cupcake cups. Bake for 20 minutes until firm. Cup a small hole out of the middle of each cupcake. Place a strawberry, upright into the hole. Whip the cream and cover the strawberry with it. 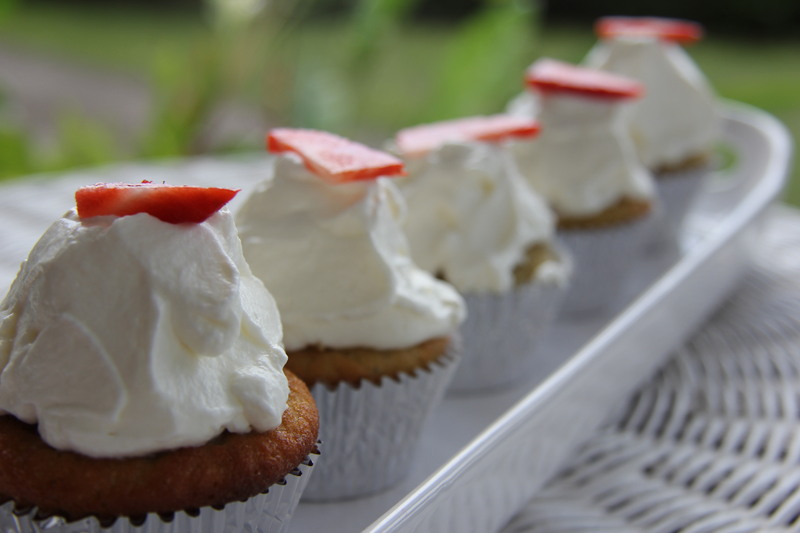 A strawberry cream cupcake that has a strawberry surprise in each cupcake. Made with coconut flour they are low carb and gluten free too. Perfect for a summer tea party.